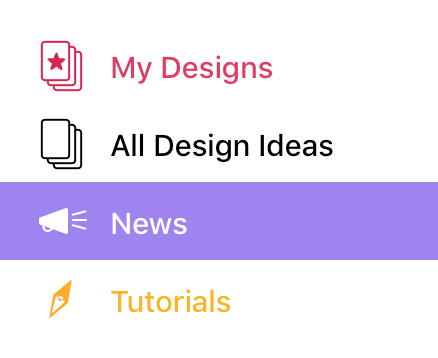 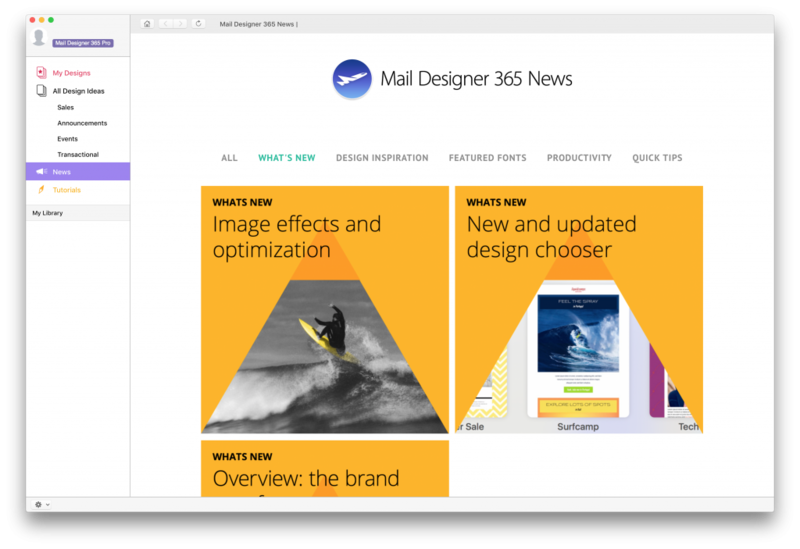 When you open Mail Designer 365, you have the option of choosing “News” on the left hand side. 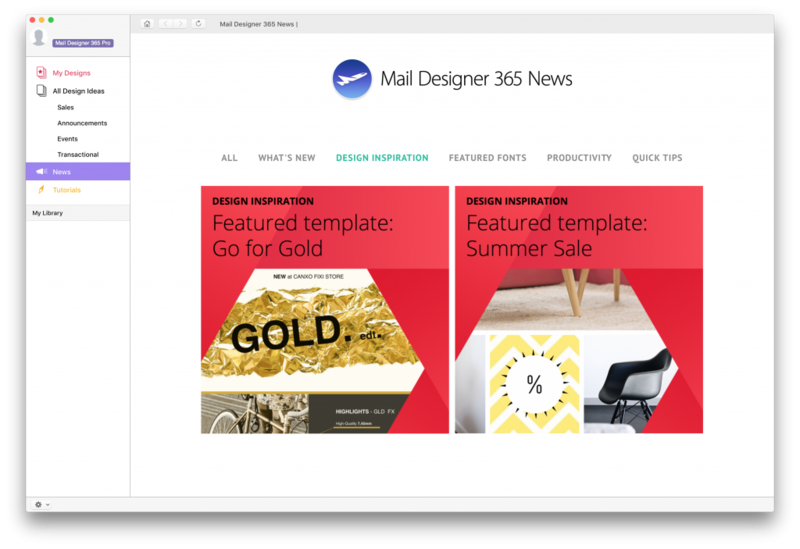 When click on News, you have access to insider tips created by the Mail Designer 365 team. 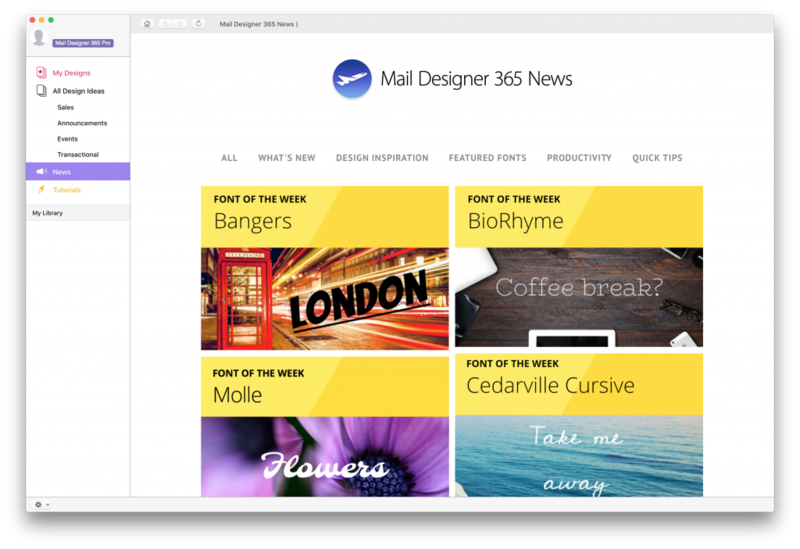 Click on “DESIGN INSPIRATION” to check out exquisite email designs to get you inspired! 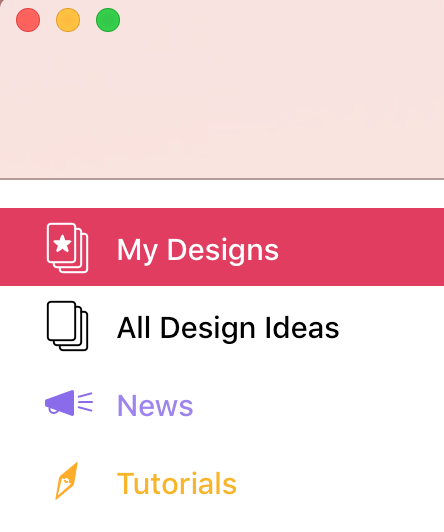 Click on “FEATURED FONTS” for font inspirations. 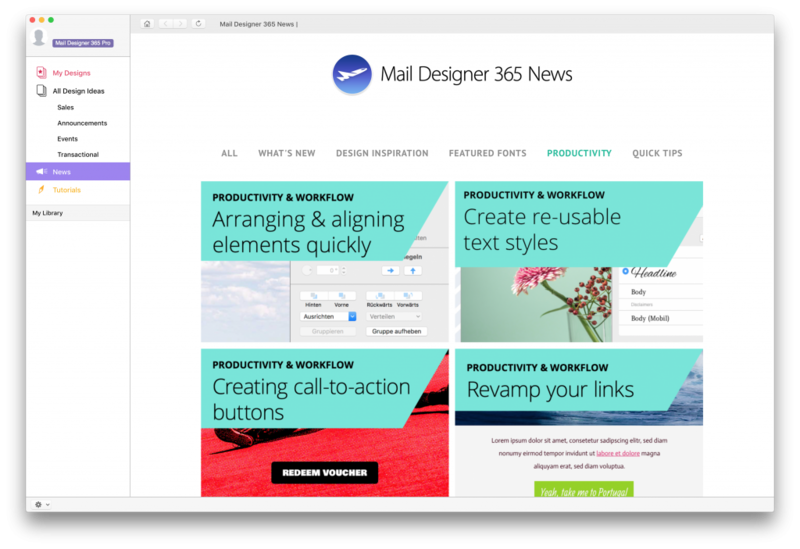 Click on “QUICK TIPS” for fast ways you can improve the content and style of your email designs. 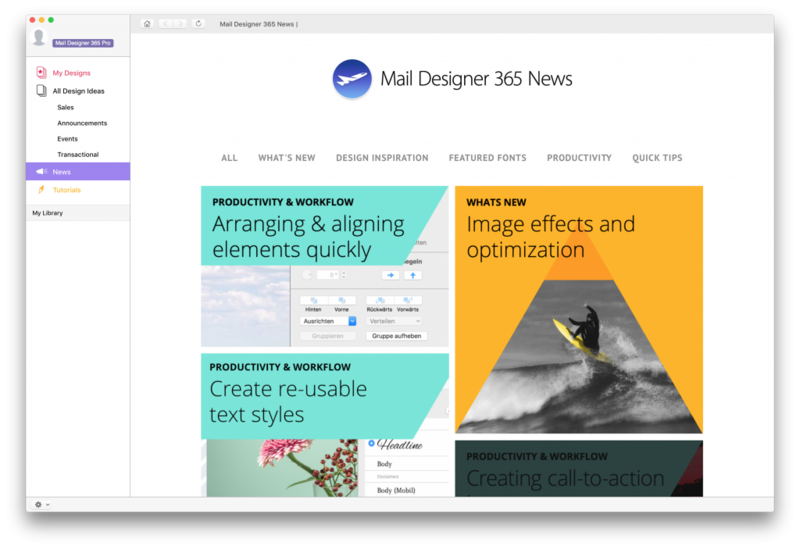 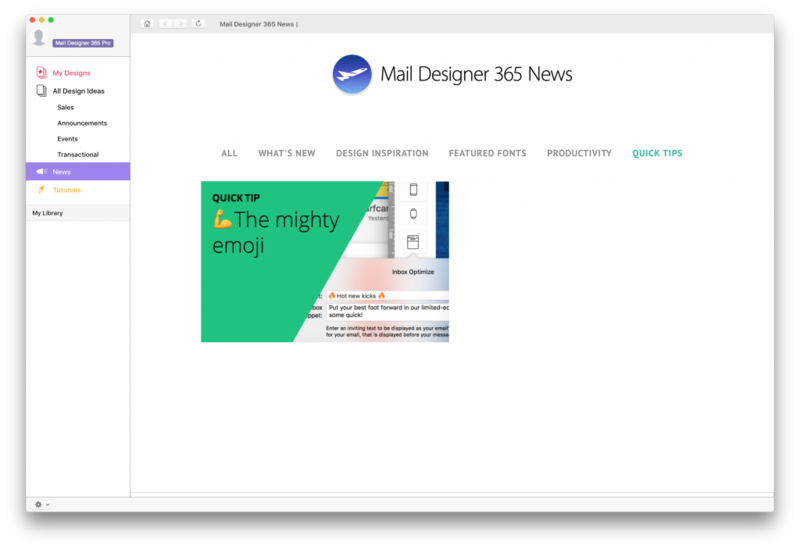 Click on “WHAT’S NEW” to find out what’s new with Mail Designer 365.